Demonic Spider is an Enemy in Lords of the Fallen. Enemies are hostile creatures and humans that Harkyn encounters throughout the game. They have different resistances and drops, sometimes leaving behind powerful Weapons. 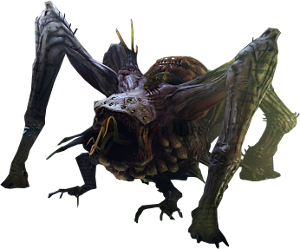 A mutant spider that spits poison and produces small eggs from where Fledgling Demonic Spiders are born and attack the player. General - Circling around the spider is typically the best approach, just wait until it starts it's attempt to give birth and then try to get in as many blows as possible.